I’m a photographer based in Randolph, NJ. WHAT I DO: Specialize in fine art portraiture, flowers, and bird photography, while not forgetting the other subjects that awe and inspire. WHO I WORK WITH: Support non-profit organizations as well as individual clients. HOW I DO IT: I see the art in everyday life, capture decisive moments and continuously innovate. WHY IT WORKS: By creating products that tell a story, combining still and video images, hand painting color in black and white, and providing artisanal prints that reflect high quality and traditional methods, my work is memorable and timeless. RECOGNITION & REWARDS: 2017 - 34th RIDGEWOOD INTERNATIONAL EXHIBITION – Juried wildlife image. 2017 - MORRIS PHOTOCOLOR CLUB (affiliated with NEW JERSEY FEDERATION OF CAMERA CLUBS) •	Images awarded in each of the following categories: Creative, Open, Blue (2), Open, Botany (2), Abandoned (2), Sunrises and Sunsets (3), Open (2). Prior to 2015 – New York Botanical Garden’s “Caribbean Garden Photography Contest,” First Place in “Sense of Place,” and runner up in Macro; additional awards prior year for Sense of Place and Macro. Images have appeared in nature calendars and Audubon material; images appeared in Allen Philharmonic Symphony “Live Project,” Allen, Texas. 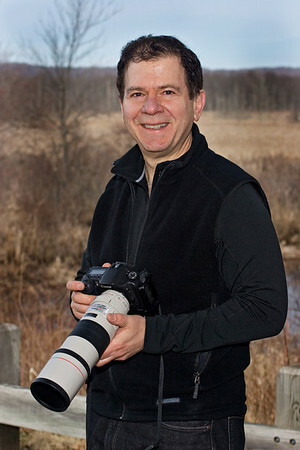 Presented work to nature and photographic groups sharing passion for nature, birding and printing. NON-PROFIT PROJECTS: Over the past three years I have been doing non-profit projects as a way to leverage my photographic skill to give back to society. Following a series of completed photographic projects at a non-profit pre-school, I decided I wanted to help unemployed people by taking headshots for their use on resumes and in social media. READY TO TALK: Contact me on my website "Contact Me."